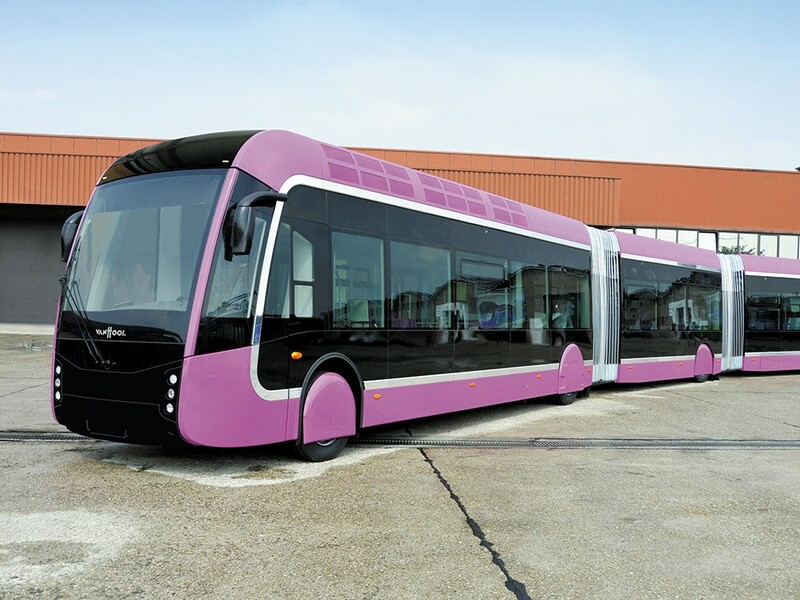 STA is hoping a North American manufacturer will start designing trolley buses like Van Hool\'s EquiCity line, currently in use in Italy. A century ago, the streetcar ruled Spokane. At one time, a local streetcar company had enough influence and largess to build an entire amusement park in West Central simply as a way to drive more streetcar traffic. That dominance began 125 years ago — months before the Great Spokane Fire razed downtown — when the first streetcar arrived. Pulled by horses, it took residents in the newly built Browne’s Addition along Riverside Avenue for shopping trips downtown and back. The city’s streetcar tracks were ripped out or paved over decades ago, but the Spokane Transit Authority wants to introduce a modern version of the streetcar along nearly the exact same route. The STA has started to present local neighborhood councils and businesses with an ambitious proposal: a “Central City Line” stretching from Browne’s Addition through downtown Spokane to Gonzaga University — possibly all the way to Spokane Community College. During peak hours, modern trolley trams would swing by stops along the route every 10 minutes. The 60-foot, single-articulated vehicles would run on wheels with an electric line running overhead instead of traditional streetcar rails. They would be able to swing to a different lane while connected to the trolley wire, or disconnect entirely. The hope is not only to add downtown connectivity, making it easier for college students and downtown shoppers to get around quickly, but to spark significant economic development along the route. To City Councilman Jon Snyder, its potential is electric. But as with previous lofty promises of regionally transformative transportation projects, there’s a long, slow road to travel, and some serious roadblocks to overcome. STA has to a find a way to fund the project, and a manufacturer to design and build a type of vehicle that doesn’t yet exist in America. If the Central City Line was just another bus route configuration, STA CEO E. Susan Meyer says, it’s doubtful it would transform the city economically. “There is a sense that a transit route could be relocated,” Meyer says, drawing from feedback from local businesses. But a fixed system, with clear infrastructure? She’s seen how other communities throughout the country have seen development spring up around trolley lines and light-rail tracks. Since 1999, Spokane’s Downtown Plan has called for a trolley project. The idea was explored by STA in 2005. For the past four years, the notion has been bandied about within the halls of STA, the City of Spokane, the Downtown Spokane Partnership and other local agencies. The group analyzed the possibility and other alternatives, designs, and routes, finally adopting the current plan in 2011. The STA already has nearly $3 million in grants for the initial planning phases, but the full project is slated to cost about $36 million. Meyer hopes to get about 80 percent of that from the Federal Transportation Administration’s Small Starts program, but that’s where things get even more challenging. Just a bus on a wire isn’t good enough for Meyer. Seattle, San Francisco, Vancouver, B.C, and Dayton, Ohio, all have trolley buses, she says, but the local business community wants to see an entirely new type of vehicle — sleek and futuristic — for the Central City Line. “What I heard from the business community in 2010 is that it needs to look electric, because that’s the future. And it needs to not look like a bus,” Meyer says. “It’s time to look like a train.” Trains are cool. There are people who will take a train or a streetcar, she says, who would never set foot on an STA bus. In Parma, Italy, she saw that sort of vehicle design from Belgian bus manufacturer Van Hool. She carries a picture of that modern electric trolley on her iPad wherever she goes, showing it to key industry figures. “I’m an evangelist now,” Meyer says. However, “Buy American” provisions mean that going with a foreign manufacturer would constrain the use of federal funding to pay for the project. But there are only three bus manufacturers in North America, she says, and none make trolley buses that look like trains. But there may be another way. At a CEO conference in Palm Springs, Calif., she wrangled a dinner meeting with Paul Soubry, CEO of bus manufacturer New Flyer. She laid out her vision, suggesting that major bus manufacturers should seek Federal Transit Administration funding to launch a new generation of trolley bus design. At first, she says, he was skeptical. But as their conversations continued over the next few months, she says the company became more and more keen on the idea. At a bus exhibit in Indianapolis, she also met the senior vice president of Canadian bus manufacturer Nova Bus and made a similar pitch. “My interest alone is not enough to generate a new generation of bus design,” Meyer says, but other key industry figures have that power. Bus manufacturers have been invited to present their future vehicle design ideas at a conference next week in Chicago. Meyer says these companies are Spokane’s best chance to get the Central City Line it wants. If absolutely everything goes right, she says it could be running as early as 2018.